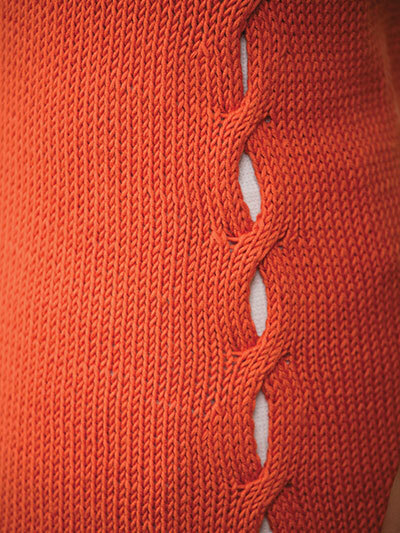 Open cables and long lines make this tunic enjoyable to wear and to knit. Knit with DK-weight yarn using U.S. size 6/4mm circular needle at least 32 inches long. Note: Tunic is intended to be worn with 1–3 inches of negative ease.